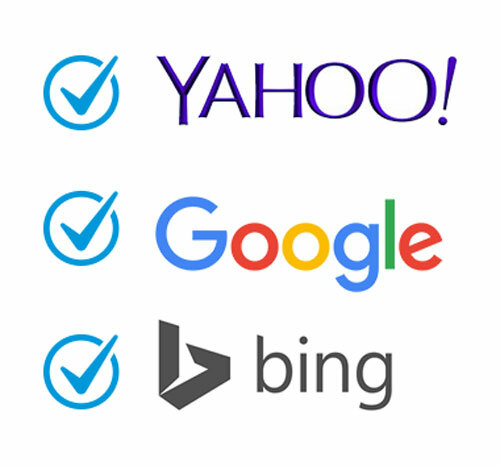 960 Design SEO Maintenance stands out among our competitors. Why? Our straight-forward approach uses data, and only data, to inform and guide the SEO process we use for our clients. No smoke and mirrors, no gimmicks – just results. Higher Local Rankings Are All About Relevance. We optimize the way your website is coded to leverage industry-specific keywords and improve your presence across search engines. Moreover, Search Engine Optimization increases your website exposure to local potential clients and high quality leads without using ads and has saved many businesses thousands of dollars or more. For example, if you are a plumber in Oakland, California, we can get you great placement for a search for “plumber oakland” instead of just going after the search “plumber”. Additionally, our enhanced process of keyword targeting garners great placement for “plumber” searches within a specific area (in this case, Oakland, CA). Who would be a better customer for a plumber in Oakland; anyone in the world looking for a plumber, or someone looking for a plumber in Oakland specifically? SEO is not about doing any one thing right. It’s about doing everything right. The first step of our process involves analyzing keywords of interest which are typically industry-specific. 960 Design will create iterations and then use specific search optimization tools to generate further keyword options and variations. The final result will be a list of potential keyword segments to choose from. Keyword research and analysis renders information needed to make decisions. A consultant at our company will assign keywords to the pages on your website. This part of the strategy is critical, as it will be the road map for the entire campaign. Now that we know what we would like each page to rank for, we can begin on-site optimization. Onsite SEO is a process that 960 Design performs expeditiously so that quick results can be realized since SEO does take time. You will be hard-pressed to find an SEO Service that provides anything close to the value we provide here at 960 Design. Optimizing websites is one of our core specialties and one of our services with the most repeat business. On-Site SEO Code optimization will entail first fixing anything that is broken (this is an important part of the process, as it allows us to ensure nothing is technically wrong with the site). Following this, we will optimize your page titles, meta descriptions and meta keywords. We will also take a look to make sure the search engines can index your content, no pages are being blocked, all links are being followed, and everything on the backend is overall in top-notch condition for search engine indexing. We also look at advanced strategies such as Schema.org, images, videos, sitemaps, robots.txt and more. Finally, we ensure that the website abides by Google’s Quality Guidelines. At 960 Design, we have made major changes to our SEO content marketing post Google Hummingbird Update. We currently deliver high-end inbound content marketing, which sends large levels of traffic, social shares and links to the website. Our content strategies set us apart from other SEO companies, as our editorial team delivers the highest quality content. In addition, we have full translation abilities, allowing us to optimize your website in an language. Read Articles on the Hummingbird Update by Ignite • Google Hummingbird Update to Impact 90% of Searches • Key Google Hummingbird Update Changes • Ignite Visibility Video, Google Hummingbird Update SEO Content search optimization is a critical part of the process. The process is very straightforward; we will simply take the keywords listed in the keyword assignment for that page and work them into that page’s copy. This will be a further signal to search engines to rank you for those terms. In this phase, we will also make sure that all on-page titles, such as H1s and H2s are optimized. Furthermore, post Google Hummingbird update, we ensure that certain topics are touched on which Google deems high-quality. Our formula for copy optimization is proven to work. For very large websites with millions and millions of pages, creating a search engine optimization friendly internal linking structure can be tough, especially if your strategy is fragmented. Ignite Visibility experts have worked with sites reaching hundreds of millions of pages and can ensure your internal linking structure is architecturally correct. Likewise, if you are smaller site we can maximize the pages you have and assist you in creating a new page and internal linking development strategy. The Internal linking process consists of making sure each link points to a page with the correct keyword in the anchor text. In addition, there are a few expert strategies we implement in this phase that we only reveal to clients, making us one of the best SEO companies at onsite SEO. Once we have ensured these critical items are covered, we move into advanced search engine optimization strategies. In this phase, we’ll do a final review of the technical structure of your site and then suggest new forms of search traffic development. Furthermore, this phase marks the start of significant external link building. It should be noted that external link building may occur at different times, this will all be based on the link building strategy the Ignite Visibility specialist creates, which will be dependent on the goals of the marketing campaign. Our company has proven strategies in these areas. Recently, we were able to boost a clients rankings by over 400% just through competitive backlink analysis (read SEO case studies). Create web pages designed for human interaction, not for search engines. This reinforces an exceptional user experience (UX) and gives your website credibility which instills trust. Create a website with a clear hierarchy and design. Websites should be easy to navigate on any device and should not have any technical barriers preventing spiders from crawling your website. Create an informative interesting website that delivers high quality content. The goal should always be to create a page that delivers information that the end user is looking for. Searchers make mental notes of the rankings for the terms they enter into Google and other search engines. Your ranking is a vote of confidence: “Google says this business is relevant and trusted, so that must be the case”. People search, click on website links, edit their search terms, search again, click on more website links, further hone their search terms, search again, and so on. SEO creates a ubiquitous presence, increases mindshare, and garners trust. Physical Location has always been a factor, but in today’s times, the location on search engine results is the most important. Fortunately, SEO is much more affordable than a lease on prime real estate. Our SEO allow us to extrapolate website data, utilize statistics to determine performance, and create precision-level SEO campaigns that render measurable results. Our clients love the financial insight gained from statistical metrics. SEO helps businesses understand their audience and demographic insight. Website analytics provides real-time statistics and gleans key insight about your audience. This allows marketers to make informed decisions based on real data. If a website doesn’t have an SEO strategy, it’s losing ground to a competitor who is. Our process includes a thorough SEO analysis of all aspects of a client’s website, as well as market research and analysis of your competitors. Measuring website metrics sheds light about the effectiveness of Search Engine Optimization (SEO) Strategy. The information extrapolated from these metrics also allows us to deliver measurable results from implemented strategies. Whether your looking for improved rankings or website conversions, it all starts with measuring how users are engaging with your website. In other words, SEO is an asset. It’s like buying real estate and investing to remodel your kitchen and bath. That work will increase the value of your home so that you can sell it in the future for a profit. Using SEO tricks or hacks is like trying to beat the house in Vegas. Sure, you might get a couple of quick wins, but in the long run you’re bound to lose because “the house always wins.” Using professional SEO strategies is the opposite and will set you apart in a good way.